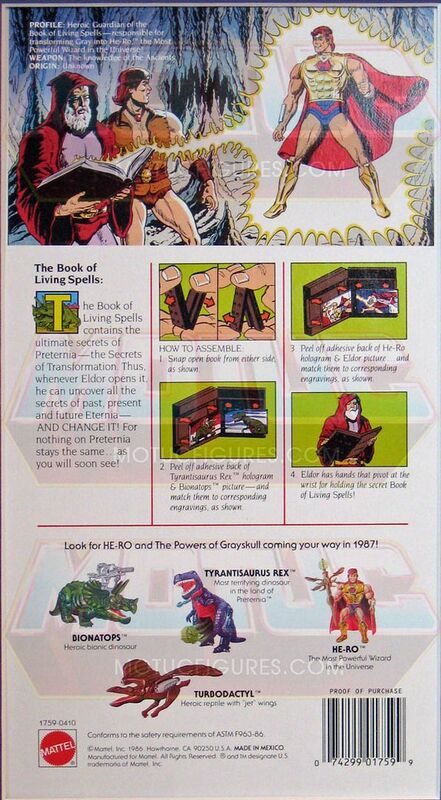 Masters Of The Universe Classics: Eldor Unproduced Cardback Found! Profile: Heroic Guardian of the Book of Living Spells... responsible for transforming Gray into He-Ro, the Most Powerful Wizard in the universe! The Book Of Living Spells contains the ultimate secrets of Preternia- the Secrets of Transformation. Thus whenever Eldor opens it, he can uncover all the secrets of past, present, and future Eternia- AND CHANGE IT! For nothing on Preternia stays the same... as you will soon see! 4.) Eldor has hands that pivot at the wrist for holding the ancient Book of Living Spells! Did it also show action figure images for Fangman, Icer, Evil Droid, Scorpia, Shadow Weaver and Imp? 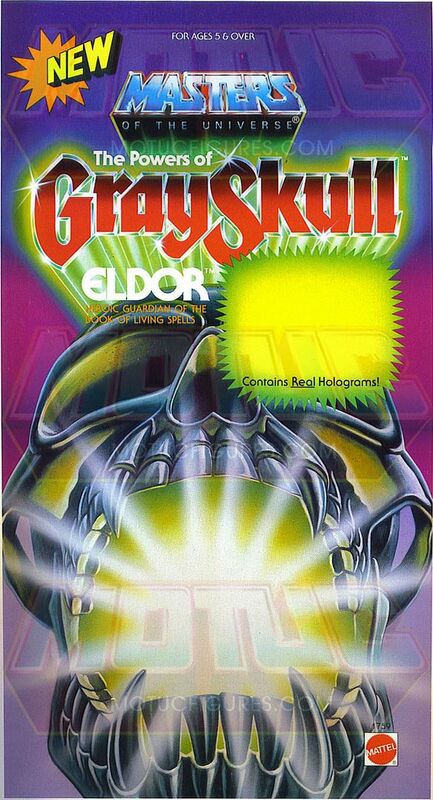 I know the creatures of "Powers of Grayskull" collection was sold as the last ones, but I want to know if either He-Ro or Eldor was released to it's purchase. That's a pity if not. awesome! now only if the cards for he-ro and gigantisaur would pop up. those are the only 2 left that have not surfaced in the whole 80's classic motu collection. i know he-ro exists, jordan has mentioned it, just a matter of getting those pics. grrr.. gigantisaur has to exist imo, the proto was basically the final scuplt in the 87 catalog.